No striker in 6 months: unlucky or tight-fisted? | NUFC Blog. Newcastle United are still in the hunt for a striker 6 months after the sale of Andy Carroll. And now they need a left-back too. So just why is it taking so long to recruit new players? What, you might ask, is the problem? We’ve had six months to replace Andy Carroll and still haven’t, unless you happen to believe that Demba Ba’s that man. And, although Enrique’s actual departure is relatively recent, we’ve pretty much known he’d go for a few months now (the clue was in his refusal to sign a contract), yet we haven’t got a replacement for him either. Let’s allow some leeway with Enrique. He has only just been sold and we must surely know by now that players don’t come in unless Ashley’s 100% sure he’s getting the dosh for the outgoing player. It might not be a proactive way to run a football club but we seem to be stuck with it. Some might argue that selling Carroll so late in the January transfer window left us no time to bring in a replacement, which is true. And let’s even be generous and say that £35m was too good to refuse and that it was actually worth limping through the second half of last season without a first choice striker. Surely, though, in the months after the Carroll sale we should have had plenty of striker targets lined up, ready to make bids for them as soon as the transfer window opened. Well one school of thought might say we’ve just been unlucky. Our first and second choices appeared to be Gervinho and Gameiro but Arsenal and PSG were more attractive options to those players. Our third choice seemed to be Erdinç, but the trail has gone cold on that one. There was a rumour we were interested in one or both of the Banguras but with at least one of them (I forget which) some work permit issues allegedly got in the way. There was also a rumour we might be interested in Shane Long, but West Brom offered real money and bought him. So there are some names there and the charitable observer will say we’ve tried and must simply accept that other clubs – particularly those playing in Europe – will often be more attractive propositions to players. The less charitable observer will say that we’re run by the world’s tightest billionaire and that a lack of assertive, realistic bidding – for want of only bargain-basement acquisitions – has seen some potential targets slip through our fingers. Is that true? I really don’t know because I’m not party to the details of if/how we’ve bid on these players and what the stumbling blocks actually are, but it’s an tempting assumption to make right now. There are those who would suggest that some Newcastle fans would only be happy if Ashley went out and spent the entire £35m on someone to replace Carroll, but I don’t think it’s about that. We want bargains where possible and I think most fans agree that the ‘principle’ of hiring young players with bags of potential – who maybe haven’t fully realised that potential yet – is fairly sound. This is supposedly the ‘Arsenal Model’ that Ashley favours, but it’s not the entire Arsenal model. Arsenal do spend money when it’s necessary, with Gervinho being a point in fact, and I’d like to bet the money they get for Fabregas and Nasri goes on players of decent quality too. It is true that Arsenal have more pulling power than us when it comes to attracting players, but of the Premier League teams who aren’t in Europe we should have plenty of pulling power really and I think we should be able to attract a decent – if not ‘World Class’ – striker to Newcastle. If you sense frustration in this article you’d be right. We’ve done well this year on transfers, accruing £47m from player sales and only spending £7.5m, which leaves us just shy of £40m in the pot. I’m well aware that agents cost trillions and that Ashley wants wages to come out of incoming transfer funds (although I’m not sure quite what happens to the wages of players we sell), but I don’t think it’s a lot to ask for £10m-£15m of that money to be set aside for a new striker of proven quality. Furthermore, I don’t think it’s unreasonable to ask why we haven’t identified realistic targets in the 6 months since we sold Carroll. It’s possible, as I said previously, that we’ve been unlucky and that patience is needed, but it’s also possible that the deals have been financially strangled beyond the point of ‘careful money management’. Could first-choice striker promise yet persuade Erdinç to join Newcastle? Hugh – i sense a little bit of frustration. Chill. All will be revealed in the due course of time. Either way – we’ll know that he had something up his sleeve – or it’s all a complete sham. Ashley said he would re-invest the money from the AC sale but not how though. I dont think he has much ambition for the club or has lost interest and is more concerned not to lose any more money with his expensive toy. I’m sure he has a laugh about how he keeps NUFC ticking over but never much more to his drinking buddies. He is reluctant to run NUFC as a football club i.e. buying and re-enforcing the squad. He cant expect us to live on youngsters alone and hope they turn out to be the next great thing. I wish he would sell!! The powers that be aren’t juse tight-fisted, they appear to be out of touch with the realities of football and most worryingly, short-sighted. For the sake of a few quid (well in the grand plan of things) they’re willing to foresake the opportunity of buying potentail stars and dare I say it saviours of our Prem status, the loss of which will cost us more than the little extra it’d take to keep us in it. That’s what I find most surprising and most of all, frustrating. Are thes people on a mission to destroy this club?? This latest episode with Maiga shows just how feckin tight our tight arsed owner is ! Just make the offer and buy the player thats the way most normal clubs do business but we have to undermine the whole procedure and get the player to agitate enough so his club eventually sell (or dig their heels in) for a price we’re prepared to pay. FFS its not as if we’re skint. We’ve just “earned” £42m from Sky payments along with the other crap. Fatman cannot expect his “debts” to take priority over the successful running of this football club. OK all clubs should live within their means but to starve the club of finance simply to put money back into Fatmans already bloated wallet is going way too far. Pardew repeatedly stated we were ahead of the game in the market before opened – no plan b then? Tight fisted most definately. Ashley wont pay decent money for quality. C`ant wait to see the back of him and his cronies. Erm Tattyheed I’m sick of chilling it’s about time cashley held his hands up and publicly state that he does not have a clue on how to run a football club nor does he have the inclanation to do so. HA!!!! you never know he might be holding back for Messi HA!!!! Aye-unless we sign a quality striker and good left back before the derby i agree-its tight fisted mis-management-how not to run a challenging football club-Pardew may be gone before christmas if they keep this approach up-then we will have a Kinnear back or the likes- Ashley, if u dont want to make a success of NUFC on the footballing side-just sell it to some who does you plank! It must be the clubs tight fisted approach. ashleys wants to buy cheap and sell big. he wants to get as much money back on his investment before selling. We may not be in europe but we have pulling power. cabaye missed out on champions league football to join us is a decent example. and the new links (pieters, cissokho and maiga) are with clubs who play in europe. all 3 have made noises about joining us. this is all down to a tight fisted owner!!!! on the official nufc website there is a player in the reserve team with a 9 on their back from the 5-0 thrashing of gateshead, no name so i hope it’s just a temp shirt. Pardew stated that we would bring in one, possibly two players before we play the unwashed. Still nowt. Demba Ba looks like another Shola to me from what I saw on Saturday. they are now saying that the wages are to be taken into consideration with the fee, but im sorry 6mill for a international LB with 10 capand is only 23 pls is only on 30grand a week compared to enquire who was on 40odd thats a saving either way you look at it. The other thing ashley will be able to sale him on again and make big bucks like on carroll and milner. iam sick of the way ashley is running our great club .psv want 6mill for a dutch international and the player only want 32k aweek compared to us getting 5.5mill for enrique and he was on 55k aweek this will cost fat man .5mill no brainer. A hammering by the mackems might just be the spark that lights the fuse for a real push to oust the tyrants. Just seems daft if you crave success to not re-invest money on better players…..isn’t that what it is all about? We only need to be better than three other teams. Why spend more than we have too? Are the additional players getting us into the CL? This is ridiculous. Where the hell do you intend on playing Demba Ba then? What is he, if he isn’t a striker? We’ll make a last minute bid of 15m for Rooney, or something equally as ludicrous, then say “oh well, we did try but it wasn’t to be”. Load of utter b0llocks. We should’ve bought Shane Long. Fekin bargain. Noticed that Fergie played the full 90 against Gateshead, even on the the very slight chance that FCB was going to release the money for a LB, you can pretty much guarantee that will have changed his mind ! I don’t think any pressing questions will be asked at any conference or interview…..it normally results in a lifetime ban from the club or something along them lines. Providing Ashley keeps his promise, the deal may prove to be ultimately advantageous for Mike Ashley. “I said to Mike: ‘Look, this money has to be reinvested in undersoil heating,free transfers,agent fees,dugout seats, All of it,'” Pardew said. “And he assured me of that he even showed me a copy of undersoil heating monthly magazine that he was feverishly thumbing through. That is the most important message I can give Newcastle fans today. I talked to Mike 15 minutes ago to clarify that and he was pretty clear. The money will be Andy’s legacy to the team…..then we all had a big chuckle and went to the casino and got totally clattered for 6 months. They’re probably locked in talks with Olly Bernard as we speak convincing him that the new undersoil heating will protect his knackered knees !!! SJT, I remember Pardew saying that. Most people immediatelty read it to be along the lines of your interpretation, down to the ‘once bitten’ theory. Fact is, I took Pardew’s statement as literal, as I believe he did also. I believe Pardew is being deliberately misled, and in the process making himself look like a puppet to the fans. I sympathise with Pardew, he knows the score, as we do. Just unfortunate for all of us that Dumb and Dumber are deceitful b@stards. ….I doubt this move will come off either. Just can’t see Fatty selling a player for 6m, and bringing another one into the same position for 7m. The new dug out seats with top of the range massage control are quality as well…..we could even be sacking the physio team soon and invest their wages in even better undersoil heating for next season. 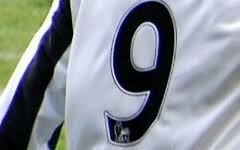 It appears we’re trialling a couple of young French lads and one’s a striker – perhaps that’s your mystery No 9? What price the other lad’s a left back? If so, we sign em and bingo, job done, Llambias’s fulfiled his promise? The comment at 17, if you’re being serious, I’m lost for words. I’m of the school of thought that we have been unlucky in the sense that the names Gervinho, Gameiro and Erdinç became football news not by our club but by other clubs thereby alerting them and as they are more attractive and have bigger clout than us they duly signed them. It remains to be seen whether Erdinç suddenly realises before the end of the transfer window that he has dropped down the pecking order at his club and he is not going to get as many games as he previously thought. The recent track record of the club is that they have been able to do transfer business quite quickly and without much ceremony but when details are leaked and/or players throw tantrums (Ben Arfa and now Maiga) then things either get bogged down or we walk away. I don’t think we will ever get top strikers as we are no longer at the CL top table (for various reasons) and don’t look like we are going to be anytime soon. I think realistic targets are/were Sturridge and Long. I have always believed that the money should be spent on Van Aarnholt and Sturridge of Chelsea. Both are proven Premiership players. For a cheaky bit I would add Anelka. Unlucky? If you put Keegan’s comments about ‘dummy bids’ together with departing/unhappy players comments about recruitment, plus the fact that so many of our ‘target’ player’s clubs have come back and revealed ‘no contact/no offer made’ .,,, it suggests luck has nothing to do with it. Everything is going according to Ashley’s plan. Agree Boater…..it’s just a shame we have no football vision upstairs or even downstairs. I am not after 35m strikers or a 25m replacement for Enrique just some sensible investment or a show of intent…..it is almost like we are being repeatedly punished supporting NUFC and it really is no fun at all anymore. We had a strong spine of a team that CH got together after relegation and I knew that this would be smashed up as soon as it showed any promise or togetherness……it is simply a shambles what has gone on. Pauls comments at 17 just sum it all up for me…to enjoy NUFC at the moment you must have no ambition,dreams or expectations,lap up the lies….just spend your money,accept we are no longer wanting to be a premiership force and shut your mouth. Above bottom 3 is good enough for me. Kamar, Shane Long was the very obvious stand-out striker option for me, but it appears anything above 5-6m for one player is just too much. Sturridge, in my opinion, has never been an option. If he does go anywhere it’ll be for an 8-figure sum. Rod…get with the program the 6M we had spare went on Shola’s wages for the next couple of years….he wanted it all in advance and his agent’s cut was massive mate. Any toon tweeters on here? hahaha, yeah mate. Apparently his dietary requirements are quite decadent too – and he eats 4 times a day!!! The stuff of legends especially in draconian circumstances or watching oliver twist reruns with a large bowl of decadence and a well fed hearty glow. GT Performa Jason eh, ahhh, blast from the past. I had one of these in the 80s…. ….but mine had an Elina UL seatpost, and a Redline Forklifter stem. I don’t do Twitter anyway. Twitter is cool man…instant and quick. ….I may well give Twitter a sniff, but reckon it could be quite dangerous given my late night ramblings. Main reason I ditched my Facebook account! Anyway, I’m off, back to the football comments lads, apologies. It’s a multi-billion pound industry but with ticket prices soaring 1,000 per cent over two decades, football is becoming too expensive for young fans, it has been revealed. In 1989 the cheapest price for a ticket to watch Manchester United cost £3.50 which, with inflation, should cost £6.20. In fact the least fans can expect to pay is £28. The picture is worse at Anfield where tickets were £4 and now the minimum is £45 – a rise of 1,025 per cent. Arsenal has upped its prices by 920 per cent from £5 to £51, making the prospect of going to see a single match an impossible for the poorest of fans. Malcolm Clarke, chairman of the Football Supporters’ Federation, said: ‘Some Premier League clubs do offer good deals, but the prices at the top clubs, and particularly London clubs, are mostly outrageous. ‘They are beyond the reach of many younger people who used to have access to football and now, if they are interested, they are watching the game in the pub. Some clubs are looking at increases with Arsenal contemplating a 6.5 per cent rise, according to the Guardian Online, but Stoke City has agreed to freeze prices while Blackburn Rovers have a £10 adult ticket. Following the 1989 Hillsborough disaster, at a time when there were standing areas in football stadia, there were fears that clubs would rise prices because they would be able to fit in fewer fans. Rogan Taylor, former chairman of the Football Supporters’ Association said that grounds have improved significantly but the money fans pay is now going into the pockets of players. He adds that old people who had stuck with the game through bad times, were being excluded along with young fans. The problem is echoed for season ticket holders with Anfield’s cheapest tickets going for £60 in the 1989-90 season but now £725 – a leap of 1,108 per cent. As the prices have risen so has the demographic of the fans that go to matches. The number of 16-year-olds going to matches now was just nine per cent in the 2006-07 season compared to 22 per cent in 1983. Dan Johnson, Premier League spokesman, said: ‘We must accept that some people feel they are excluded because they cannot afford the prices. But many clubs work hard to attract fans with affordable deals, and there are different opportunities to attend. Ref above….next time fans support tossers like Carroll who hold the club to ransom, remeber it’s us who ultimately pay the price to give average players filmstar lifestyles! Love old labels still as well. In the 80’s my dad gave me £80 for a weeks hard graft blasted the whole wedge on a best company hoodie from reporter in the toon. Got some ace 80’s gear recently off a collector down here in brum…including a full pop84 tracksuit and a load of orig fila and SergioT early 80’s stuff. Get tweeting Rod…expect some great ramblings. Back to Football……where’s are number 9 and LB????? Joe he was more or less forced on the helicopter or big red bus (according to stardust). If you won’t pay the going rate ultimately you end up shopping in sports direct. Jason…do you really believe that?…he’d just signed a 4 year deal. It might suit Ashley hater’s to think this, but the reality is both Carroll and his mate Nolan were trying to screw huge pay increases out of the club[us]and in my opinion 40grand a week is enough for anyone who kicks a ball from one end of a pitch to the other. If it means shopping in Lidle then so be it!…stuff the greedy Barstewards!!! You tie up a player to a contract and then it makes them more expensive to buy….that is what we have done with Tiote. It was deffo a bus…a big red double decker bus number 9 Carroll via Merseyside. We build a good workmanlike spine Nolan’s,Barton’s Jose’s,Carroll etc They get together after dropping a division and say right let’s roll up our sleeve’s and battle…..result we canter to promotion things looking visibly better than before. Next……er let’s not go there. Yes none of us are particularly satisfied with the shenanigans at the club, however I was making the more general comment about the greed of present day players and it’s down to club chairmen to prevent this spiral out of control with players wages. I suspect that Ashley may be the first but he won’t be the last to take a much firmer grip of club costs and prevent all but the top few players from achieving ridiculous salary hikes! Does anyone really think that players are worth the wages they get? The likes of the parasite & Kieron Dyer, Xisco & The spanish broken fingernail..the list goes on and it’s got to stop!! So we just don’t buy anyone decent is that the Plan? Foreign freebies and kids with £45m or more on transfers just gaining interest when we where told outright it would be spent on players? You can’t run a successful football team on peanuts. I agree not every player will live upto expectations that happens at every club but you don’t just suddenly stop competing or buying players? Or maybe you just sell everyone decent and destroy anything positive that may look likely to happen and compete in lower divisions? I do like that catchphrase…maybe it could be put on the team badge?? SJT, how about “Just scraping by since 2007” under the badge? sirjasontoon, unless I’m mistaken a spine runs down the middle. In a football team what is generally regarded as a spine is the centre forward, midfield general, centre half and goal keeper. Jose was never a spine. Enough information has come out of the club to strongly suggest that it was a group of senior English players that held the team together following relegation and subsequent promotion. They were Harper (still at the club), Smith (still at the club), Barton (still at the club) and Nolan (gone). Anecdotal information suggests that Jose and Carroll were never part of it. Ok a spine and a Rib or arm…you get my drift doncha? Ok forget spine…..a decent few bits of a Toon Skeleton…..I prefer Skelington I used to pronounce it like that when I had this weird speech impediment and a large vestigial tail. I like that JB….would look really cool on a Lonsdale kit with a HUGE sports direct logo on the front…..or slazenger if you have a penchant for all things green with holes in. sirjasontoon, if we had lost Harper/Krul, Colo/Saylor and Tiote/Barton then that would have been a spine. People seem to have very short memories of some (perhaps many) of the matches last season where the ball and pace of the game passed Nolan by. I have heard it said that the senior group of English players were not entirely appreciated by some of the more junior players and foreigners as they had become a clique in the dressing room. That might be tittle tattle, I don’t know. However, it begs the question that will the same thing happen with all the French players. Will Ben Arfa being the most senior be the leader. From comments by the new French recruits it seems like it. Who cares what happens in the dressing room as long as they all hate each other have a captain learning english. That looks really official Rod….just visualising it now and it get’s a big thumbs up ! anyone know which bars in ncle city centre will be showing game on sat? last year it was on in sam jacks / vaults – is this the same this year??? Just saw on the news that ManU are selling off a tranch of shares to finance a £550m pound debt. Not trying to make any sort of point but thought it was worth a mention! AndyMac, good work mate haha. We sold off plenty assets and got loads of asda value tea bags,paid Shola’s wages upfront and put credit on Carr’s o2 net dongle so he can surf youtube for the whole wondow uninterupted. Its : lol : but no spaces inbetween. Window typo :lol: animated laughter! Some enterprising soul will be compiling a list of all “Pardwhoisms” to be sold as a Christmas novelty item here is another contribution. When obstinate men like Ashley succeed in one thing, it isn’t unusual that think that they can succeed in many other fields using the same principles, and so it is with Ashley and the principles he used at the grubbier end of the rag trade. In the long term, you can’t fool people on the football pitch in the same way as you can in a retail park though. While companies such as Lonsdale and Dunlop / Slazenger may be profitable, they are a pale shadow of the quality brands they once were, and at the top end of football you need quality and you need the knowledge of people who genuinely know the game. Failing that, you need open minded people who are willing to listen to those who really do understand. Ashley keeps sacking them in favour of sycophantic ‘yes men’ like Alan Pardew. Lest it be forgotten, the one person who comes out of the current regime with anything resembling any credit, Graham Carr, was brought to the club by Chris Hughton, not by Ashley himself. As Kevin Keegan rightly said, Ashley knows nothing about football and Derek Llambias knows even less. They are entirely reliant on people who know the game, yet they keep firing them every time they tell them things that stray from Ashley’s rag trade mentality. Must be weird scouting with no real cash just looking for players out of favour or with contractual clauses to exploit. Wonder what targets he is set by the club? Email 20 youtube links to Mike by 4.30 friday afternoon. Must be a bit dull…like window shopping in sports direct when you have just smoked your giro money in one big psychedelic blast. And virtually all of them from one country SJT. With the ‘Wiseguys’ it was Spain and South America, now it’s la belle France.